Here is a cautionary tale. In 2007-08, Madhya Pradesh’s Shivraj Singh Chouhan government announced a bonus of Rs150 above the minimum support price (MSP) per quintal of wheat. Predictably, a large segment of farmers in the state shifted to the crop. Come 2014 and the bonus was stopped. Farmers who had shifted production were left holding the bag. They were not pleased. It fed into the resentment that would eventually erupt in widespread farmer agitations in the state this year. This is a microcosm of the role the Indian state has often played in the agricultural sector. Its policies have created artificial incentives that are unsustainable, an inefficient drain on public funds, or both. Madhya Pradesh is now attempting to address some of this with a policy that is aimed at reducing the distortionary impact of the prevailing procurement regime. The Bhavantar Bhugtan Yojana, launched on Monday, will replace government procurement with compensatory payments when market prices are below the MSP. It is being implemented as a pilot scheme for eight crops. The hope is that this will sidestep the implementation shortcomings of the procurement system. 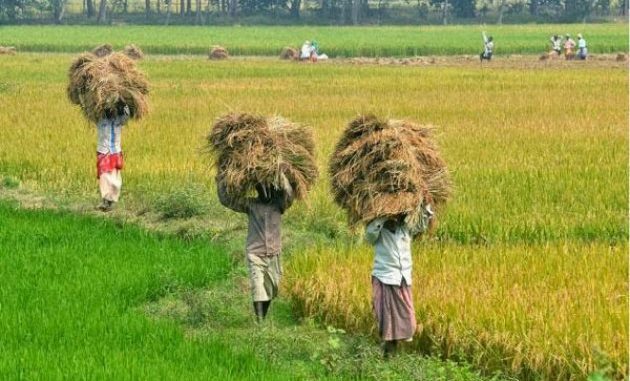 These extend from the lack of government storage facilities and supply chain logistics to the fact that despite the government declaring MSPs for 25 crops, it largely procures only rice and wheat. Second, it will be less distortionary, freeing up space for the market to set rates. There may very well be improvements when it comes to the first benefit. But it is unlikely that compensatory payments will not be distortionary. The knowledge that the government will make up the shortfall will incentivise traders to set rates well below the MSP. As Mridula Chari has reported in Scroll (How To Support Farmers Without Buying Their Crops – Madhya Pradesh Launches Bold New Experiment, 16 October 2017), there are signs that this may already have begun. Then there is the fact that the scheme has a two-month window, which means that the rush to sell in that period will also push prices down. Successful, truly transformative agricultural reforms will require work on three levels. The first level is the one most often in the public eye. The benighted mandi system has come in for a fair heap of justified abuse here. With the 2003 and 2017 versions of the model Agricultural Produce Market Committee (APMC) Act, successive National Democratic Alliance administrations have attempted to liberalize this system, providing for private markets and integrated state markets as a step towards a national market facilitated by the National Agriculture Market (eNAM). Teething troubles aside, the problem with this is that it still operates within the mandi system. What is needed is for the government to get out of the business altogether—and that is only possible with a switch from the public distribution system to direct benefit transfers. This, however, will affect only farmer remuneration. Improving farmer efficiency and productivity requires a second level of reforms aimed at inputs. The Pradhan Mantri Krishi Sinchayee Yojana aims to extend irrigation cover to all forms and maximize water-use efficiency over a period of five years with an outlay of Rs50,000 crore. In a water-stressed yet groundwater-dependent country like India, this is only possible with comprehensive rural electrification, allowing for techniques such as drip irrigation. The other major reform needed here is access to formal credit. The current dependence on informal credit leaves farmers beholden to middlemen and traders who are often the credit suppliers, thus undercutting the former’s bargaining power. The third level of reforms are the most politically unpalatable. Independent India has a long and unfortunate tradition of romanticizing the rural economy and those who participate in it. For a sustainably healthy agricultural economy, there is one prerequisite above all: The number of people participating in it must be drastically reduced and the entire endeavour must be corporatized to the extent possible. As per the last Agriculture Census, the average farm holding in India is a minuscule 1.15 hectares, with 85% of the holdings in the marginal and small categories. Their number has been on the rise since the 1970s and is expected to touch 91% by 2030. There is no feasible way to make such a fragmented agricultural economy workable. Relaxing the rules for foreign direct investment in retail to improve agricultural logistics is well and good, for instance—but taking advantage of improved supply chains effectively requires scale. So does accessing credit, rationalizing crop rotation and inputs, and weathering seasonal risks. Measures such as enabling large-scale contract farming and corporate farming will help here—but the only genuine solution is job creation in non-agricultural sectors, a long-haul target. Rolling back the tradition of marginal farming will in turn allow for the dismantling of the MSP system—instituted in the 1960s to facilitate the Green Revolution and long past its sell-by date. The agricultural sector is one of the handful where inelastic demand for the products, the deleterious public effects of supply shocks and inherent risks for suppliers mandate a government role. Save New Zealand—a low population, high gross domestic product per capita state—no country has successfully managed to do without it. The trick is to limit that role to the essential, improve its efficiency and allow the market to operate unfettered to the largest extent possible. That will require expending more political capital than any government has been willing to do so far.